2016 started off with a bang (or bangs), literally! Unlike previous years, where railway tour normally take place in later part of the year, this one goes on the very first month of the year. Even more interesting is the fact that it involves Malaysian railway enthusiasts. I rarely handle Malaysian tourists, let alone railway enthusiast! The last time I held railway tour with them was back in 2012 when I take my friend Johari around Java on a railway tour. This tour origin is actually dating back from October 2015 when a person named Hafizul messaged me on my Facebook fanpage and making inquiry about railway tour. He said that after reading my previous blog postings he would like to have similar tour, sometime in December or January. His friend, Waktong, would also like to join with him. Eventually, it was Waktong who actually do most of the negotiating with me. I initially suggest them to have a tour that covers Bromo and Situbondo. 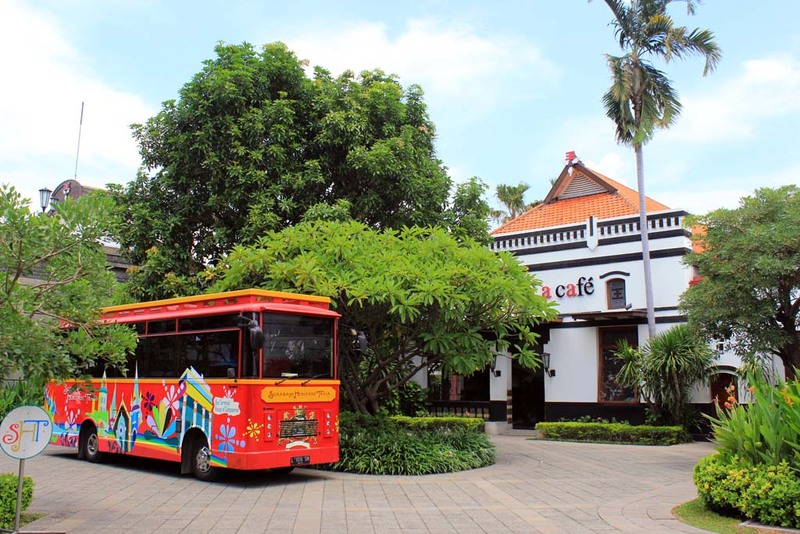 In this format, tour participants would go to Bromo volcano and then continuing onward to Situbondo where we would ride the steam loco at Olean sugar mill. But on the second thought, I was wondering whether if such itinerary might suit them? Considering that Situbondo is a rather bland place to visit. As far as I know, sometime the tourists from South East Asia (especially Singapore and Malaysia) tend to be urban minded where they would value modernity over antique things. So, I decided to arrange other itinerary as alternative for the first one. This time instead of going to Situbondo, we go to Solo! 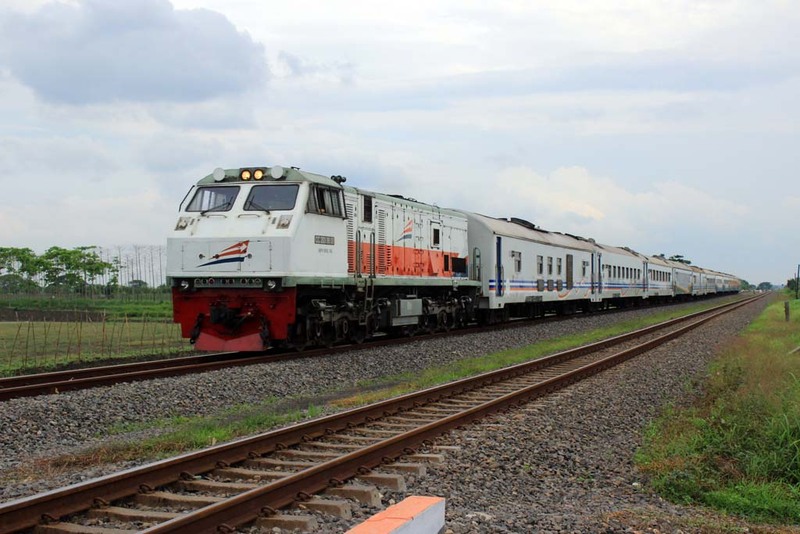 This tour itinerary, although lacking with narrow gauge trains field lines action, it allow participants to have mainline train ride, something that both Waktong and Hafizul are craving for. And it’s not just mainline train that we would ride, but also a ride onboard railbus that plying street running section in Solo. In addition, it provide us with more varieties, considering that Solo is bigger and more populated place than Situbondo. Although the catch is, we must visit Solo in Sunday, as Tasikmadu steam locomotives only run on Sunday or public holidays. After completing the itineraries, I then submitted both of them to Waktong and Hafizul. They eventually choose Solo tour. And the date of the tour is set from 22nd until 26th January 2016. All is set for this great tour. 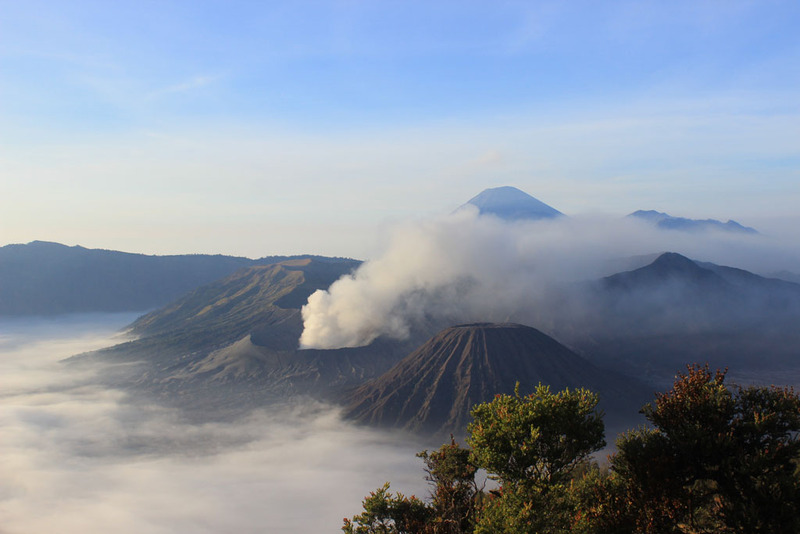 However, things might looks perfectly set for the tour, that is until Bromo volcano activities escalated into a major eruption (still ongoing at the time when this article was written). During my previous visits in October, the volcano did actually shown some sign of increasing activities, in a form of intensified smoke. This could potentially led to the tour’s cancellation. Something need to be done to ensure that it is still safe to visit Bromo. After some correspondent with my friend who live near Bromo, it was eventually confirmed that it is still safe to visit Bromo area. Unless that due to the eruption, visitors are barred from going down into the caldera, and instead are directed to a vantage point named Penanjakan II. This place is located below the famed Penanjakan summit, and accessible from Cemoro Lawang. Another thing that almost sabotaged the tour is airline rescheduling. A few weeks before the tour commencement, AirAsia apparently changing the schedule of their flight. Up until early January, there was still no confirmation regarding of the actual flight time. There were even some worries on whether if the flight might be rescheduled to a completely different date! But thankfully, confirmation about new flight schedule was eventually received. There were no change for return flight, but the arrival date was moved to several hours earlier, which means that instead of arriving in the morning at 22nd January, they will arrive on 21st January midnight! After receiving the down payment for the tour, I decided to pay for the hotels and train tickets for the tour. And once all of payments are settled, this tour is good to go. Since their flight would arrive near midnight, it means that I had to have some sleep in the afternoon to compensate some reduced sleep hours that I would endure at night. After completing my desk works in the evening, I went to the airport to pick them up. It was late at night, and the roads in Surabaya had already been deserted as most people have gone to sleep. Upon arriving at the airport, I found that the parking lot was rather empty and there are many spaces near the entrance door. And inside the terminal, there were not many people. 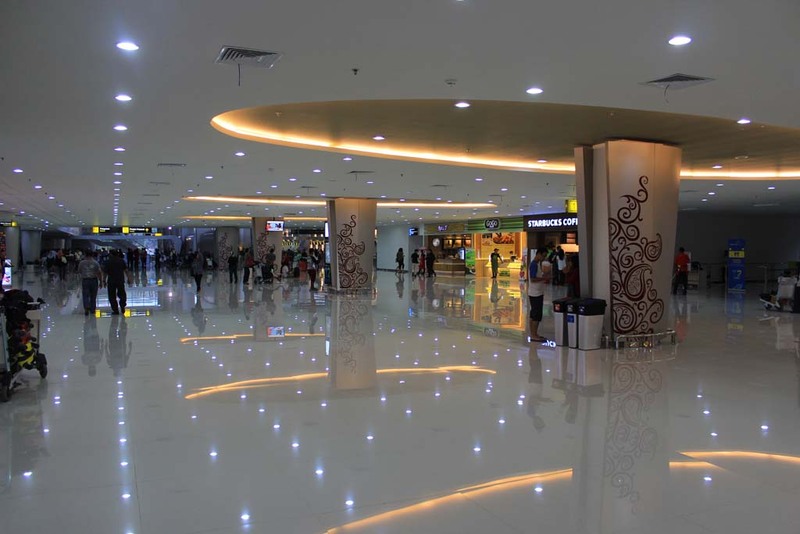 Only after some flights began to arrive that is when the terminal gets crowded again. The last Garuda flight, since it is served by wide body airplane, would made the terminal a bit crowded. And Waktong and Hafizul flight turned out to be the very last flight to arrive in this evening (early morning). After I greeted them, I took them to their hotel, where they will have a sleep and rest. Waktong initially wants to city tour to start from 8am. But since it would risk me for having too little sleep, I advised the tour to start from 9am, which they agreed. I have to admit that last night’s sleep was rather insufficient for me. I arrived back home at 3am, and had to woke up again at 7am to prepare for the tour. It was a bit struggle to me to wakes up, but after some breakfast and coffee, then I’m ready to go. 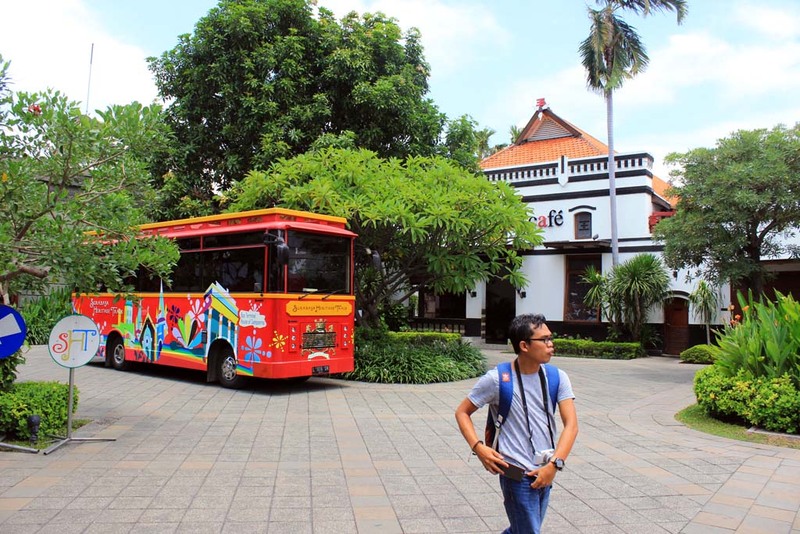 I pick them up at around 9.30 (yeah, I was still tired) and head to our first destination: House of Sampoerna. I have been to this tourist attraction for very often, so I don’t need to elaborate much about this place. Just like in my previous visits, we can see the history of the company, as well as cigarette production lines if you’re lucky. 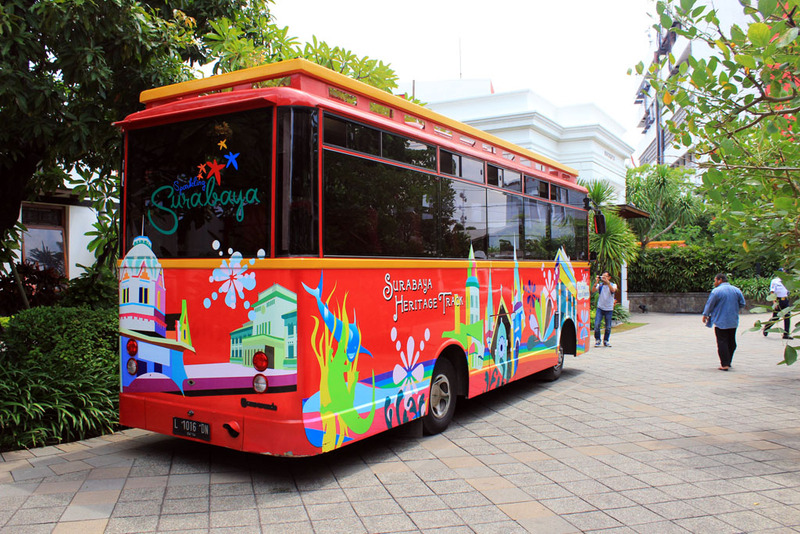 Being a bus enthusiasts, they also took the picture of the unique city tour bus, owned by museum, which partly resemble a tram. 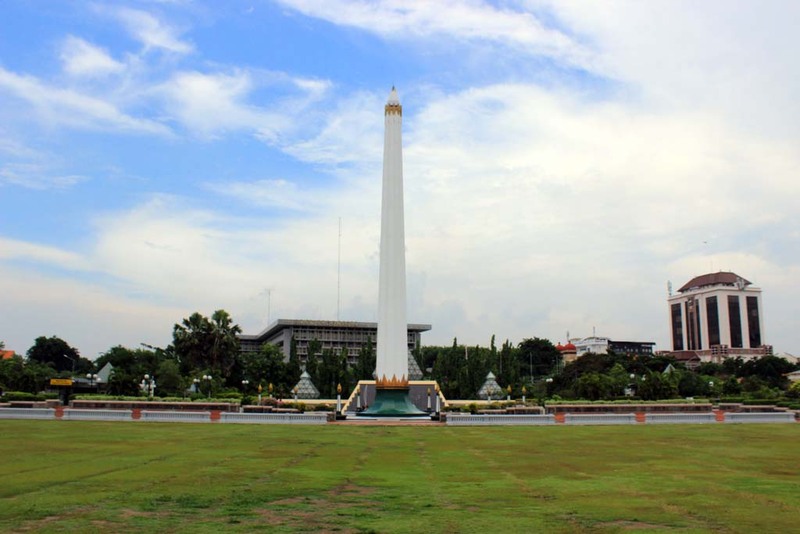 From there, we drop by at Heroes Monument, which is known as one of the most famous landmark in Surabaya. Prior to 1945, there was a courthouse building in this spot. But after The Battle of Surabaya, which took place in 10th November 1945, the building was obliterated and eventually turned into an open space. 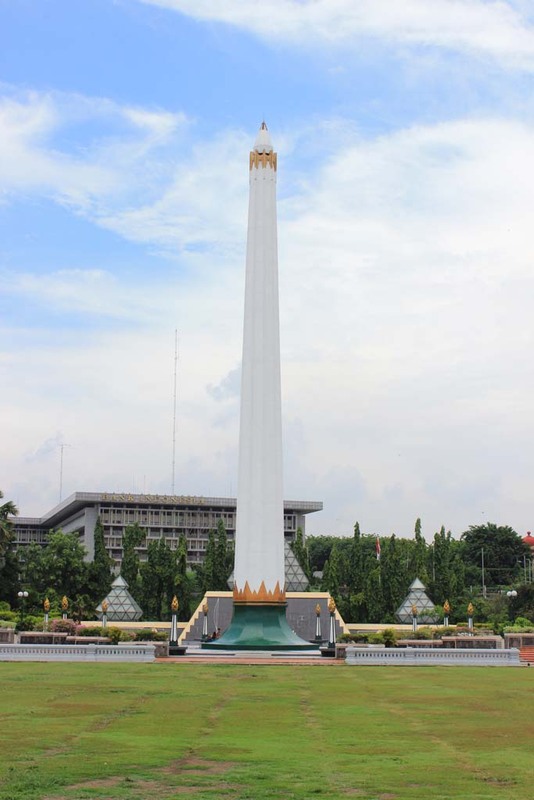 A monument was erected on its place back in 1952, and still stood until today. Since it was Friday, and we’re all Muslims, we also visited a Mosque to have a Friday congregation. 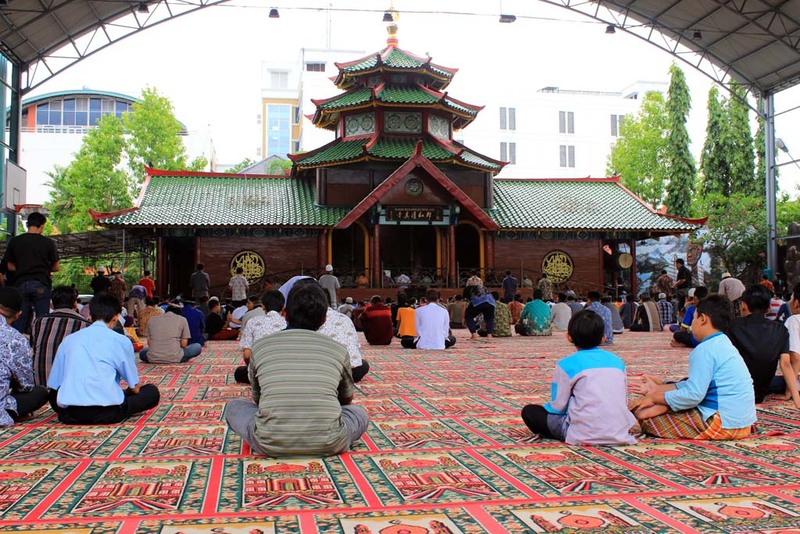 I decided to take them to a Mosque that have a rather different concept than what they would normally see back home in Malaysia: the Chinese Mosque (also known as Cheng Hoo Mosque). We also met my local railway enthusiast friend, Derri, who also hop along for today’s ride. From the Chinese Mosque, we went to Telkomsel to purchase local sim card for Waktong and Hafizul as they want to save cost on interneting. They were a bit surprised on how cheap phone card in Indonesia is. For 4GB package it cost Rp 65.000,- which roughly equivalent to RM 20. Waktong told me that in Malaysia 1GB would cost RM 18! 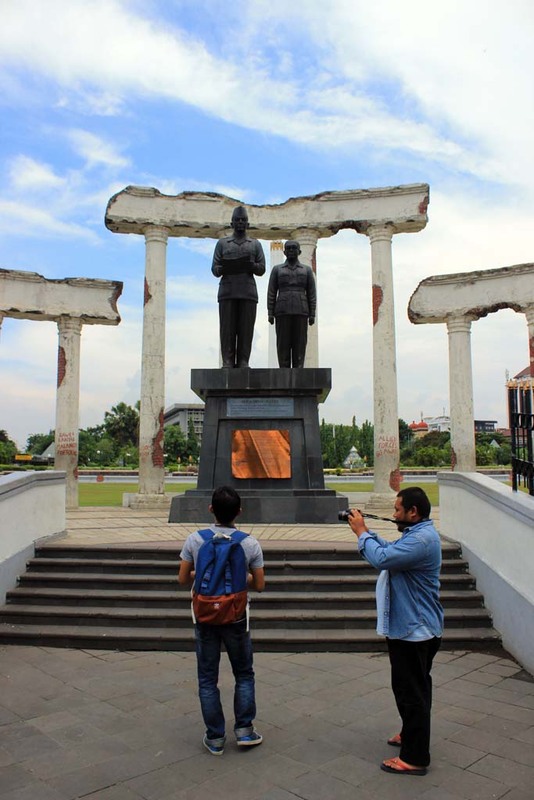 After settling the phone card matter, we went to Pasopati submarine monument, which is located right in the middle of the city. 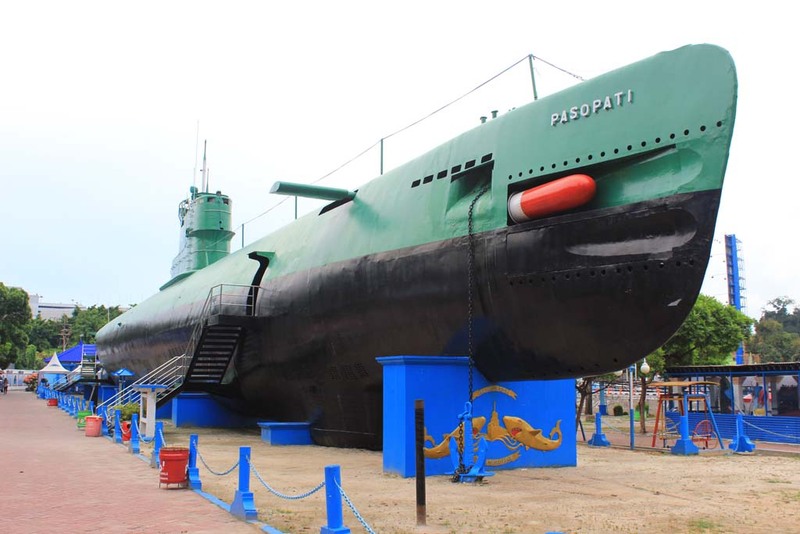 This Whiskey-class submarine was once part of Indonesia Navy’s large fleet of Soviet built warships purchased by Indonesian government in late 1950s and 1960s. 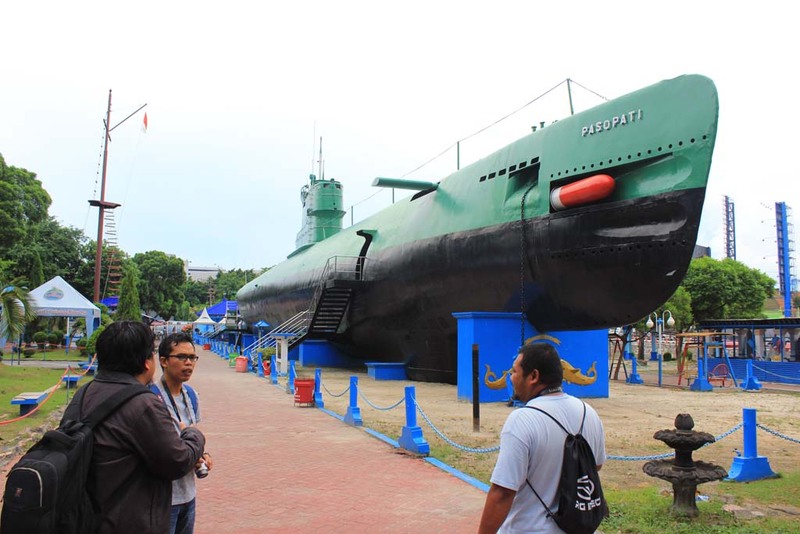 And it was also the last Soviet-built submarine to see service with Indonesian Navy, being withdrawn in 1993. Visitors could also enter the submarine, and experiencing how does the life inside the submarine used to look like, and how cramped the space inside. Unless that these days, the interior is air conditioned, while back then such luxury didn’t exist! From submarine monument, we went for trainspotting. 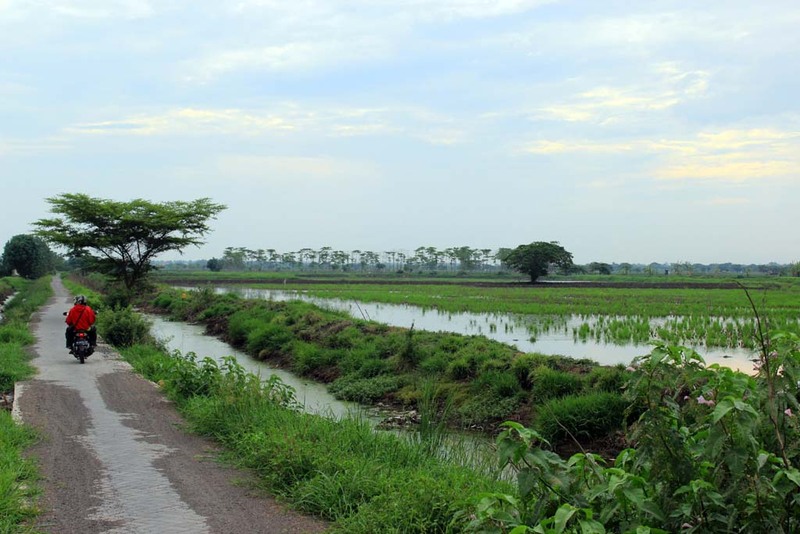 Since I want to show them a scenery that is unique of Surabaya area, I decided to take them to Sumari. In here trainspotters could photograph the train with the backdrop of fishponds. 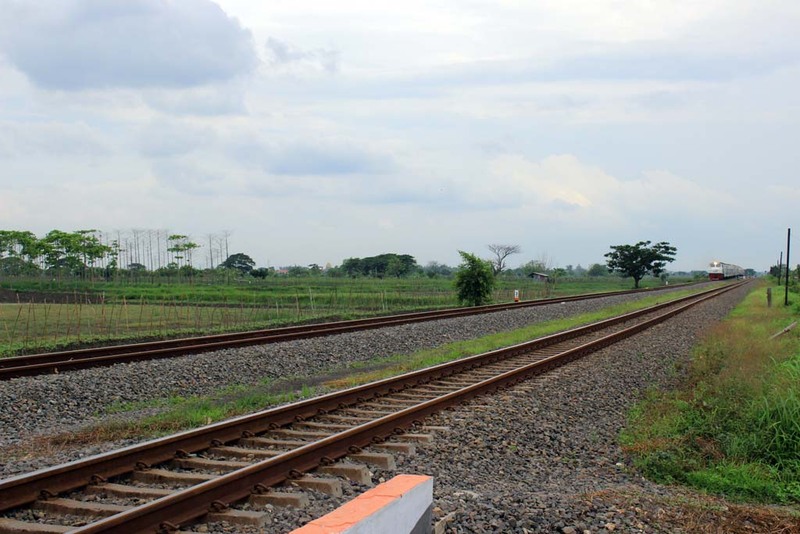 We also get to see the Jakarta-bound Gumarang express train passing through the area. After completing our trainspotting session we went to the Al Akbar Mosque in southern Surabaya to pray and have a bit of relaxation there. From Al Akbar Mosque, we went to my brother’s BGH Coffee café in western Surabaya where we had dinner and some excellent drinks prepared by my brother. We ordered meal for dinner at first I suggested Bebek Putri Madura (a spiced fried duck, served with vegetables stir fried in olive oil). 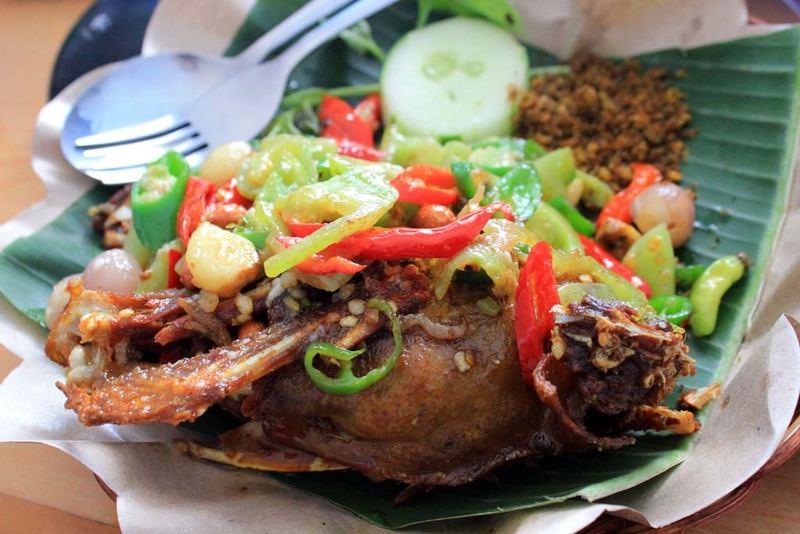 While Hafizul love the meal, Waktong felt hesitant to buy that as he felt unfamiliar with duck. So he ordered the chicken version of the menu. 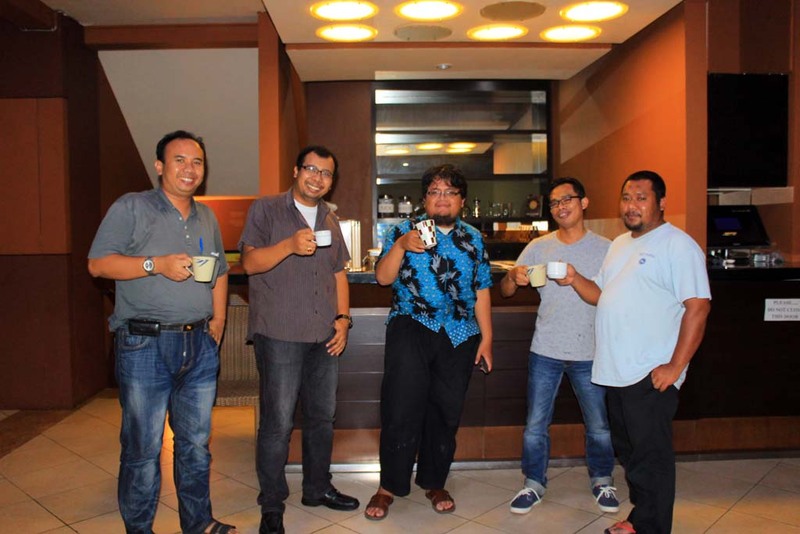 We also sampling my brother’s finest coffee, where he choose the best coffee bean in Java. It was totally excellent. After we finished our dinner,I dropped Derri at the same place as we met him earlier and then we head back to the hotel where we would have a brief rest before going to Bromo at midnight. I'm an adventurous railfans who love to seek out the world of railway, beyond the border of my office.